It seems like each year we harvest more fruit than the last. And each year I have the task of figuring out what to make with all this fruit. I’ve experimented with the usual persimmon cookies to the not so usual persimmon pasta (which I will be sharing with you next week! 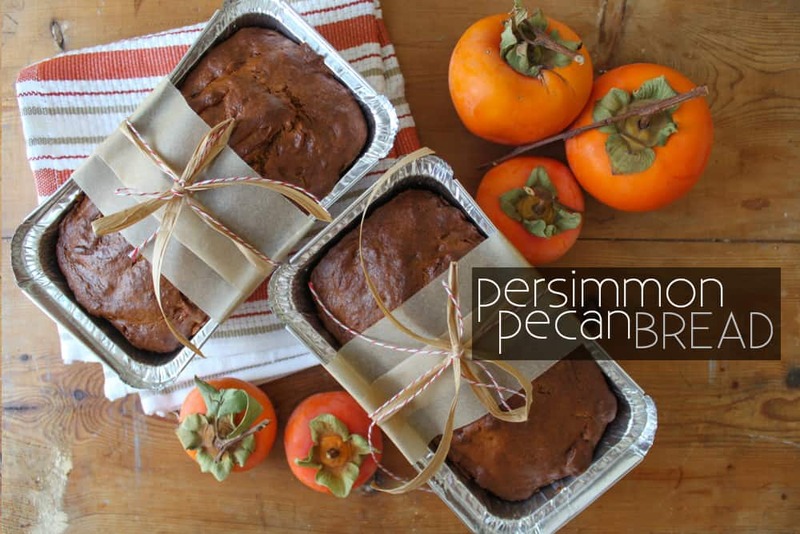 )- but persimmon bread is still my favorite and the first persimmon recipe I must do every fall. I like to wait until the persimmon is super ripe and very soft. 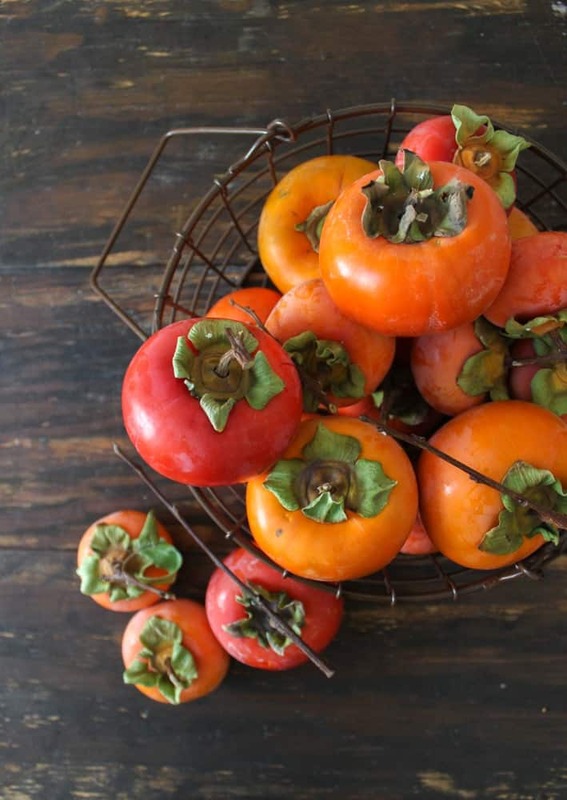 Once you peel off the skin, the inside of a very ripe persimmon is soft and mushy. Instead of using a food processor or blender, I smash the fruit with muddler to puree it. I like to leave small chunks of the fruit in the puree. Persimmons taste great raw, fresh from the tree. However, when baked into a bread, much of its flavor mellows out, leaving a very mild taste. 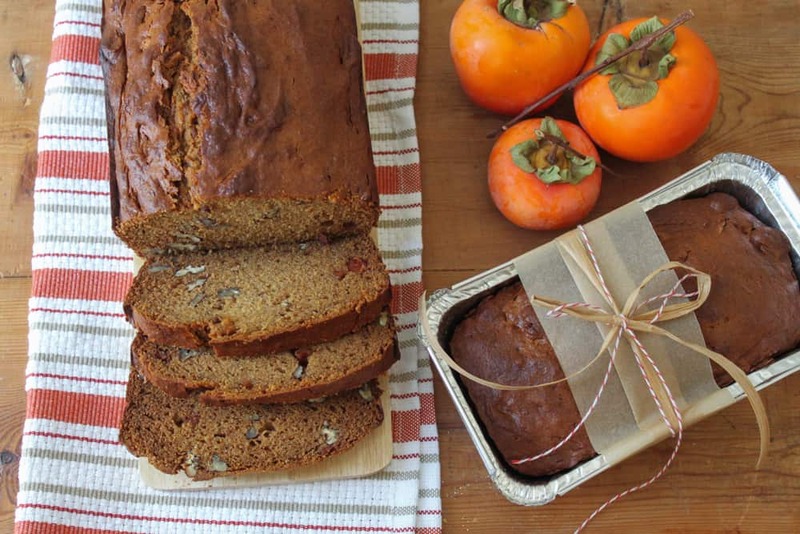 Rather than providing a punch of persimmon flavor, the fruit ends up moistening the bread. 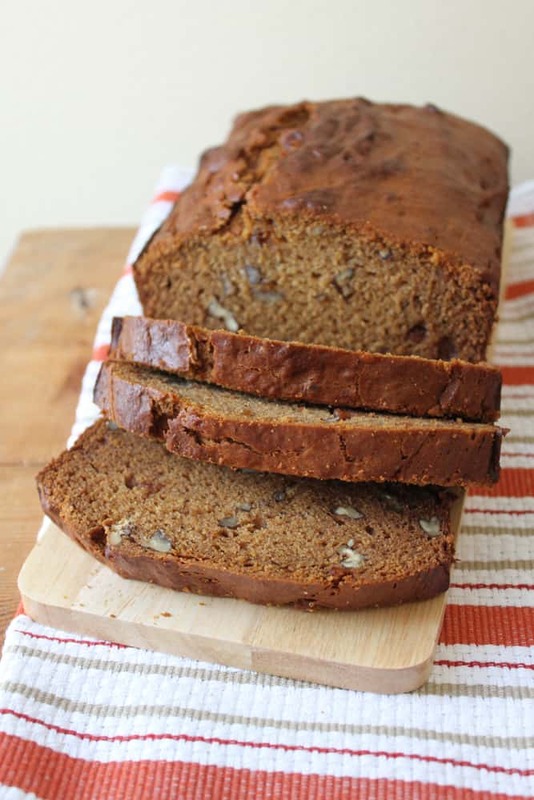 Regardless, its very delicious and in my opinion, beats banana bread any day! Preheat oven to 350 degrees. Grease a 9x5'' loft pan. Set aside two 4x6'' aluminum mini loaf pans. In medium bowl, whisk together flour, salt, baking soda, baking powder, and cinnamon. Set aside. In a large bowl, combine brown sugar, sugar, and melted butter. Use a study spatula to mix together. Add eggs and mix until incorporated. Add about 1/3 of flour mixture to large bowl. Fold to combine. 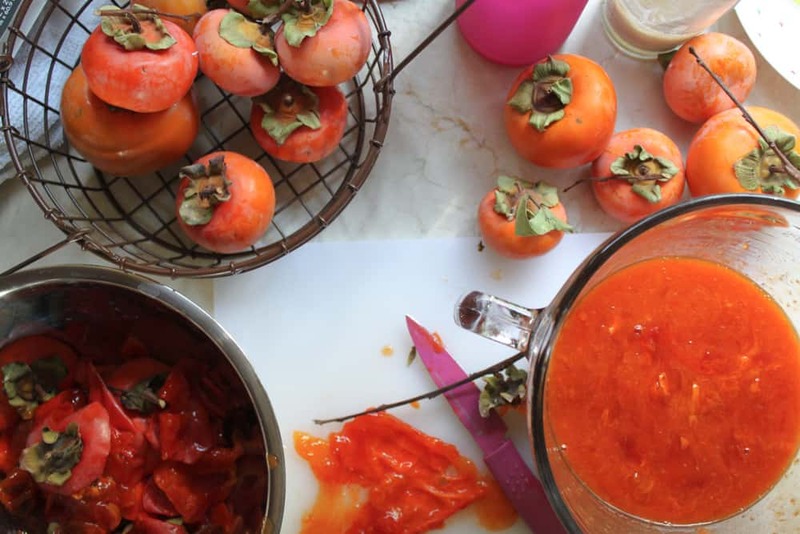 Stir rum into persimmon puree. Add half of puree to mixing bowl. Mix, follow with another 1/3 of flour mixture. Mix, add remaining puree. Mix and adding remaining flour mixture. Stir together until there are no longer any dry streaks of flour. Add pecans and fold until thoroughly distributed. Transfer half of batter to prepared 9x5'' loaf pan. Divide remaining batter between two smaller loaf pans. Bake 9x5'' loaf for 50-60 minutes until toothpick inserted in center of bread comes out clean. The smaller loaf should bake for about 40 minutes. Let bread cool in pan for a couple of minutes before unmolding. Allow bread to come to room temperature before slicing. Love this recipe! I have modified it to a gluten free version that is also very good.